We engage people with the outdoors by designing spaces that are ecologically diverse, culturally sensitive, and inherently interactive. From master planning through construction and long-term land management, our extensive experience and creativity transforms outdoor spaces. We build authentic, vibrant, and diverse landscapes for people to enjoy. This brings communities together and nurtures the land. We work with native plants and materials as well as the specific characteristics of a site. Our approach responds to the larger environmental challenges we face with climate change, water quality and waste management. stakeholders to a shared vision. We have strong relationships with other professionals—architects, engineers, ecologists, and others. Together we can create a seamless project experience for you. Founded in 2010 in Durham, NC, our firm designs and builds projects of all sizes. We have developed intimate urban courtyards and large-tract institutional land use plans. We'd love to work with you to help you achieve your vision. Katherine has more than 11 years working as a landscape architect and project developer. 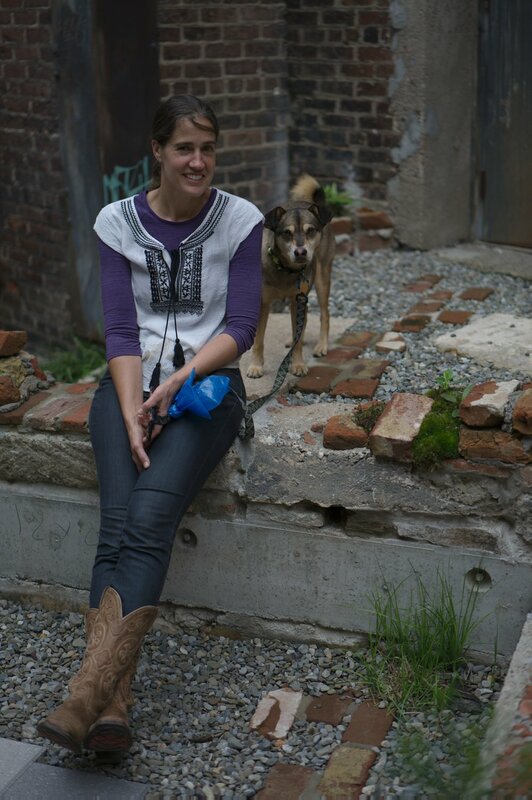 In 2005, she earned her Masters in Landscape Architecture at North Carolina State University, College of Design. After working with the Natural Learning Initiative and another local landscape architecture firm for five years, Katherine started her own firm serving institutional, residential, and commercial clients. In 2010, she and Jonah combined to create Tributary Land Design + Build. When not working, you are likely to find Katherine out and about in Durham biking, running, hiking, gardening, and eating Durham's great food. Aubrey graduated from the University of Georgia’s College of Environment and Design with a bachelor's degree in Landscape Architecture. During her years of study, Aubrey was awarded the ASLA Student Merit Award by faculty members for her outstanding body of work that explored user experiences in a variety of scales and contexts. In one such project, her design team developed a greenway masterplan that won first place in a charrette competition for the Center for Community Preservation and Planning in Covington, GA. When Aubrey is not at work, she enjoys spending time outdoors hiking and painting watercolor landscapes. Before studying landscape architecture, Lindsey worked in Duke University’s Office of Durham and Regional Affairs, where she partnered with schools, neighborhoods and non-profits to promote quality of life in Durham’s urban neighborhoods. She has experience in community engagement and design work from her time at Duke, as a consultant with Coulter Jewell Thames, and as a volunteer with Durham Area Designers and other community-based organizations. Lindsey has received departmental awards for research and theory/ criticism, along with an ASLA Southeast regional award in Analysis and Planning. Growing up in a rural community in Missouri, Jonah spent a great deal of time playing outside. His love for the Ozark river ways and forests changed him. After college, he felt drawn to use natural materials to create beautiful spaces. 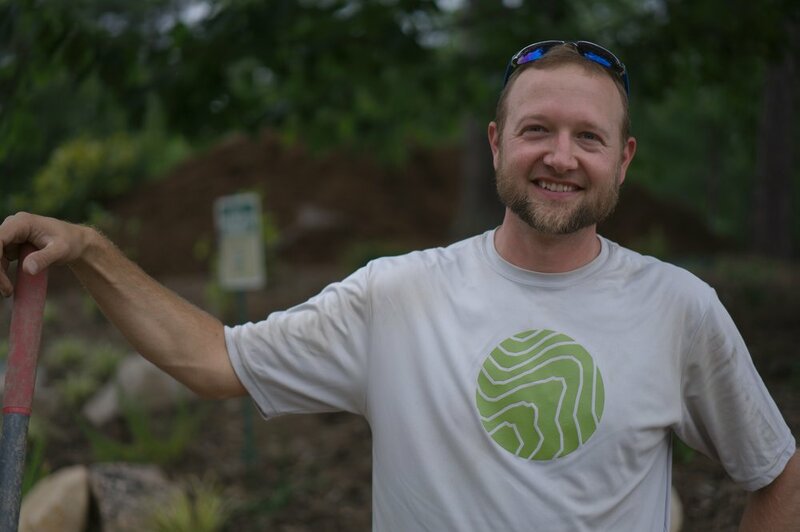 Jonah started and successfully ran his own design and build company for ten years. He then found a like-minded and complementary partner in Katherine. Together they created Tributary Land Design + Build in 2010. Jonah seeks unique projects that offer the chance to impact the people who will use and enjoy the space. He believes that even small projects can incorporate smart permaculture ideas. 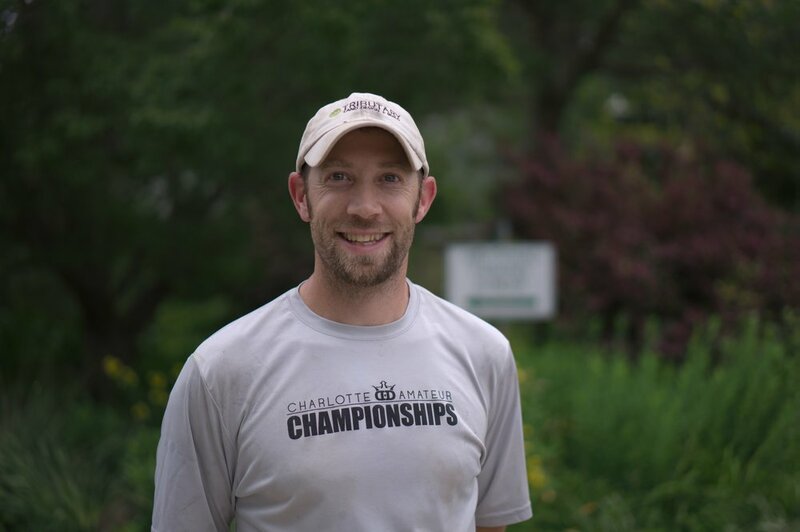 When not working, you'll likely find Jonah outside throughout the Triangle with his wife Sarah and his two kids, Miles and Theo. We are Collaborators. Find out how we can work together.